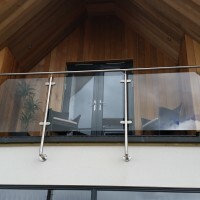 Glass balustrade and balcony railing systems to suit all budgets. 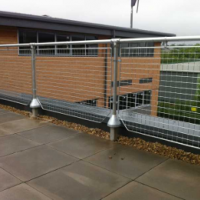 Various balustrade styles all of which are designed and manufactured by DioMet and can incorporate various steelwork finishes, glass infills, timber handrails and stainless steel wire ropes. Most balustrades require bespoke design and manufacture therefore we have listed guide prices for straight horizontal runs. 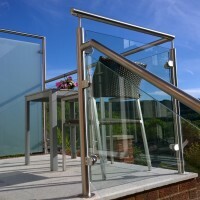 Glass and metal juliet balcony guardings and walk out balconies designs online. 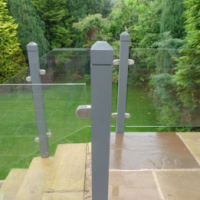 Range of Juliet balcony balustrade styles, all of which are designed and manufactured by DioMet to suit all budgets from the simplistic to elaborate. Our juliet balconies come in a range of standard widths however if you need a bespoke variation please call us for more information. Modern real glass door and porch canopies available to buy online. 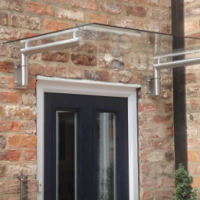 Modern glass door canopies all of which are designed and manufactured by DioMet in Sheffield. We stock canopies to suit standard door sizes however bespoke variations can be easily dealt with, please fill in an enquiry form or call us for more information. 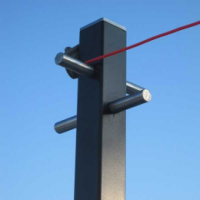 Range of products including washing line poles, shed security bars and decking features. DioMet are fabrication specialists and manufacture all of our own products so anything you don’t see listed, we can probably make, just ask. Handrails and bannister rails to suit all budgets and requirements. Most simple sections are available with off the shelf prices in a variety of lengths, finishes and colours. 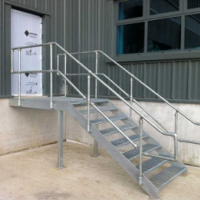 All of our handrails are designed and manufactured by DioMet therefore any bespoke variations can be easily dealt with, please fill in an enquiry form or call us for more information. 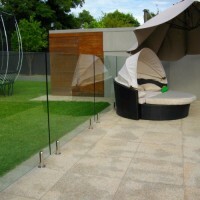 Toughened glass from 8mm - 25mm in various standard sizes or we offer a completely bespoke cutting service. Glass can be cut, drilled, shaped and toughened to virtually any shape and size with options of frosting, tinting and laminating. 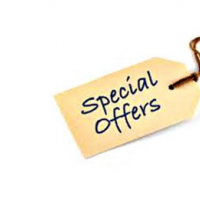 Check this page regularly for special promotion offers and clearance items. 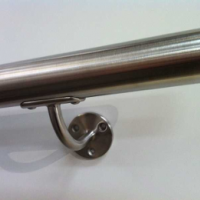 Balustrade and handrail component parts, tube fittings and accessories including stainless steel tubes, clamps, handrail brackets, end caps, elbows, joints and fixings. 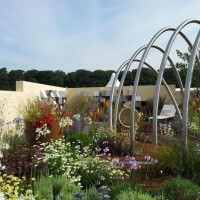 DioMet Sheffield offer an extensive range of bespoke steelwork products which are designed and manufactured in house. Below are some examples, if you have a requirement that you would like a quotation for, please contact us. Steel staircases and spiral stairs made to order in Sheffield. Available to buy in standard sizes online of contact us for a bespoke quotation. Products more suited to commercial, office and industrial environments. 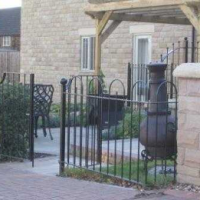 Railings and gates from DioMet Sheffield can be tailored to suit your requirements or purchased in standard sizes. We are also able to produce completely unique designs whether it be simplistic or elaborate.